Vaseline Intensive Care Spray Moisturisers. Spray moisturisers, I just never thought I would care for them. 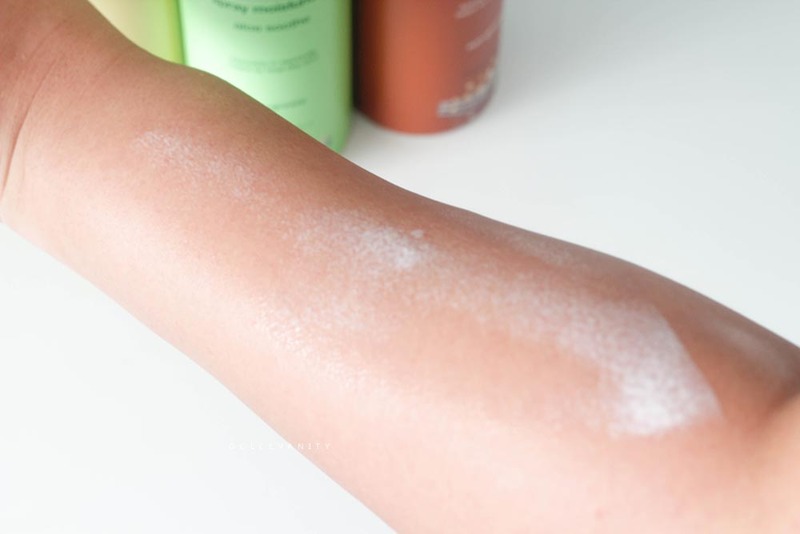 How effective could spray moisturisers be? Most likely messy. Wouldn't be able to control the spray pressure! Just for lazy people! Well shut my thought's down!! I take a lot of time and care moisturising my skin. There's a fair bit of skin on me, it takes a while. There's not an easy process with my moisturising routine. I normally use olive oil or raw shea butter, the latter I've got to melt down in the microwave, I would say I'm pretty patient with my moisturising and there's no flesh left untouched. Also I don't know why with me that unless my skin is gleaming and somewhat greasy I don't feel like my body is getting the most out of it's moisturising! So yeah I'm having to walk around a little bit greasy and patting down the skin before putting on clothes or even thinking about getting into my bed - white sheets x grease - No bueno! I was sent the Vaseline Intensive Care Essential Spray Moisturiser, Vaseline Intensive Care Aloe Soothe Spray Moisturiser & Vaseline Intensive Care Cocoa Spray Moisturiser and even with a pick'a'mix to play with (I probably should stop, as my nan keeps saying to me 'stop wasting, just use one!') It's a bit like Christmas though, use them all and see which one I prefer the most. This is what it looks like when sprayed out before rubbing in. 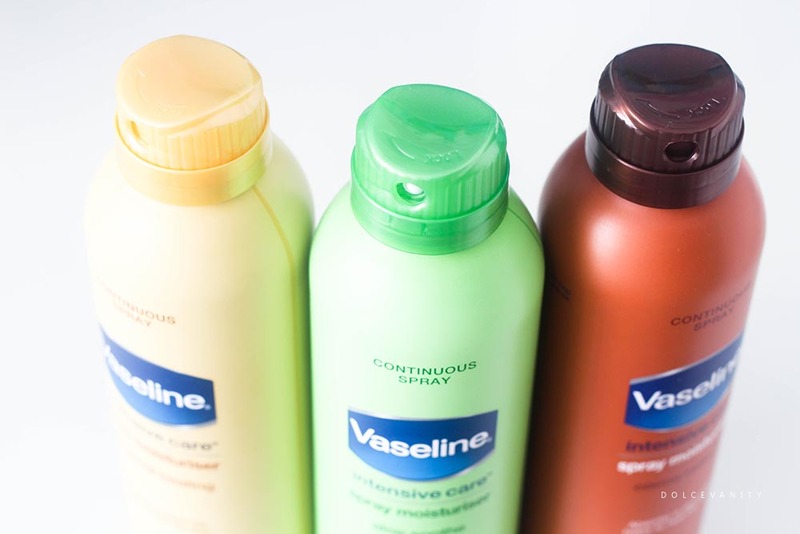 Vaseline Intensive Care Essential Spray Moisturiser leaves my skin smooth and hydrated. The cooling and soothing Vaseline Intensive Care Aloe Soothe Spray Moisturiser might be the least moisturising for my liking. Can smell the aloe which I love. Spray it on and rub it in and it's gone but the skin afterwards isn't dry but I don't feel much aftermath for my liking. Vaseline Intensive Care Cocoa Spray Moisturiser if you've tried any of their previous cocoa creams this one carries that distinctive smell. I like how this one gives a smooth, moisturising feel. This one might be the most suited to my skin for when I need that extra, something something. As you can see it comes with a nozzle. Twist to spray, twist to lock, no accidental spray incidents in a travel bag. These would be handy in a smaller size, compressed if you wanted to pop into an overnight bag or for a festival. It claims to be non-greasy, so how did that hold up? True to claim! You know when you use a intensive moisturiser your hands are full of grease, not the case it's super absorbent. Let's you just rub and put on your clothes or get into your white sheets without any mess! 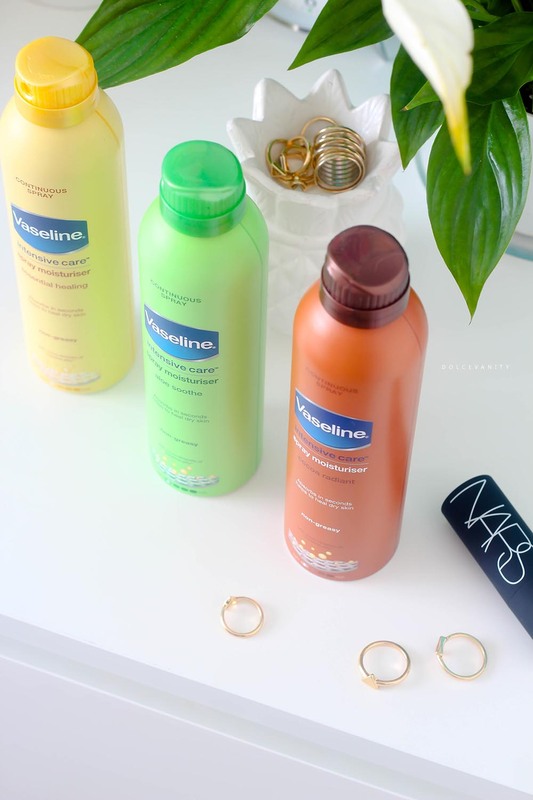 Have you tried these Vaseline Intensive Care Spray Moisturisers? I love these!! So much easier to use after I shower. They feel really hydrating too. I haven't tried any of these spray moisturisers yet but I hear good things so really need to give them a go. The cocoa one sounds gorgeous! I have the yellow bottled one of these and I love it! So quick, easy and it sinks in so easily.